The American landscape is an extremely complex terrain born from a history of collective and individual experiences. These created environments, which all may be called metropolitan landscapes, constantly challenge students and professionals in the fields of architecture, design and planning to consider new ways of making lively public places. 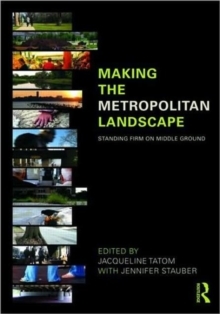 This book brings together varied voices in urban design theory and practice to explore new ways of understanding place and our position in it.